Traditionally Aboriginal people used it medicinally as a tonic which had a vitalising effect. Mature leaves. The leaves are typically dried and milled used as a tea or flavour ingredient or steam destilled to obtain anise myrtle essential oil. Anise myrtle leaves are harvested all year. Aroma of aniseed, menthol and herbal. Flavour of aniseed, some sweetness and slightly cooling on the palate. Read all about Defining the unique flavours of Australian native foods on the RIRDC website. Anise myrtle leaves can be milled for anise liquorice flavour in sweet and savoury products. The milled leaves impart a distinctively sweet anise flavour in teas, drinks, syrups, glazes, cakes, biscuits, dressings, sauces and ice creams. 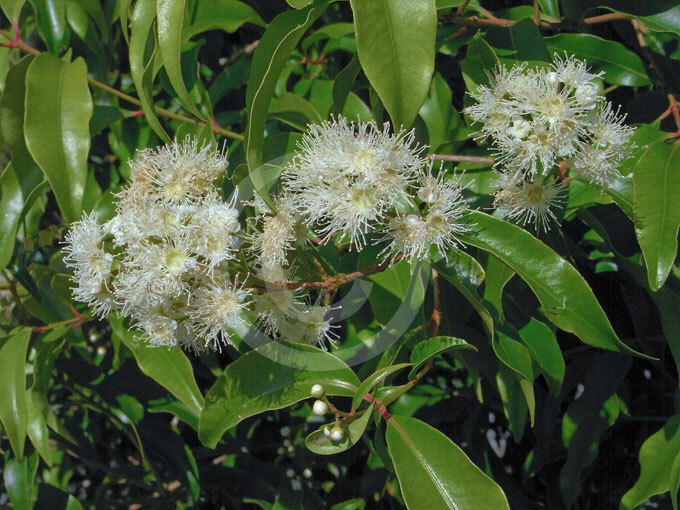 Anise myrtle essential oil is used as a flavouring ingredient. It has the ability to mask unpleasant odours from other foods and is also used in the cosmetic industry.